When your power goes out, we know that questions start popping into your head. Why did my power go out? Did my neighbors lose their power? How long is this going to impact me? Depending on what you were doing — or your plans for the coming hours — you need answers to live your life. There’s meals to make, work to do, laundry to wash, rooms to cool and so much more. Omaha Public Power District works hard year-round to provide reliable power for you and all of our customers. Yet, there are some things that get in the way, and you might be surprised at some causes of power outages. The weather. This should come as no surprise. 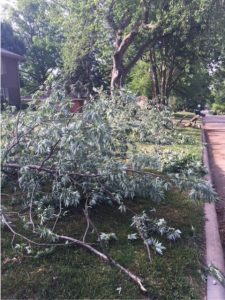 Strong wind, lightning, snow, ice, tornadoes, even extreme heat can be factors in a power outage. Mother Nature is a force to reckon with in these parts of the country. Equipment. Our transmission and distribution system is made up of a lot of equipment, most of which is subjected to the elements. Blown fuses, damaged transformers, broken poles and other parts can fail or break due to a number of factors. We continually maintain our system that contains more than 15,000 miles of electric line. Trees. Trees cause many power outages, especially when it’s really windy. Trees brush up against power lines or branches break and fall into power lines. That’s why OPPD tries to educate customers on planting the right trees in the right places. 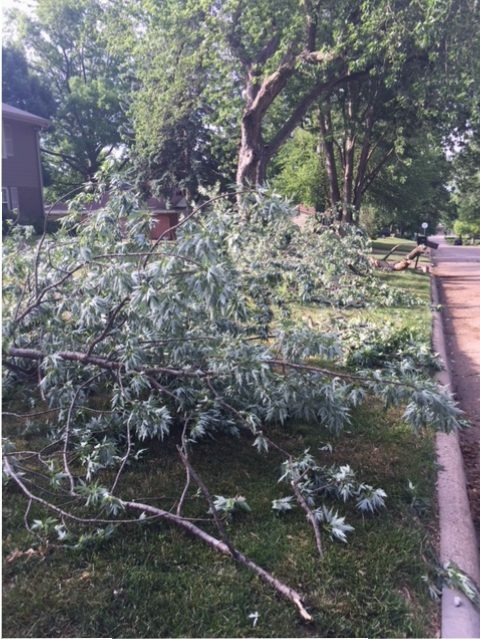 A large tree branch was downed in a storm in June near 90th Street and West Center Road in Omaha. Critters. Squirrels love to take shortcuts across power lines, but that’s not the best decision. Neither is chewing through underground cable, like rabbits and rodents often do. Squirrels, raccoons, birds, bats, snakes and other creatures are to blame for many outages. OPPD installs wildlife covers in areas where animals repeatedly cause problems on overhead lines. Humans. With overhead and underground power lines, people sometimes do things that damage the lines or nearby equipment – causing a power outage. 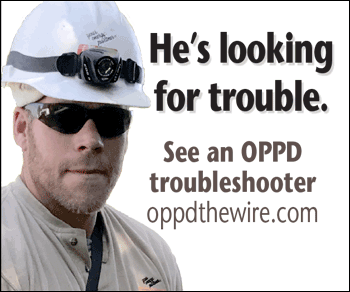 A few examples include digging into cable or trimming trees that fall into power lines. Make sure you know your surroundings when working outdoors, and call 811 to have underground utilities located before starting any digging project. Vehicles. Mom always said to drive carefully, and we agree. Vehicles crashing into power poles accounted for more than 3,600 outages over the last five years. Sometimes there’s a slick road involved, but other times, accidents occur because of distracted driving. 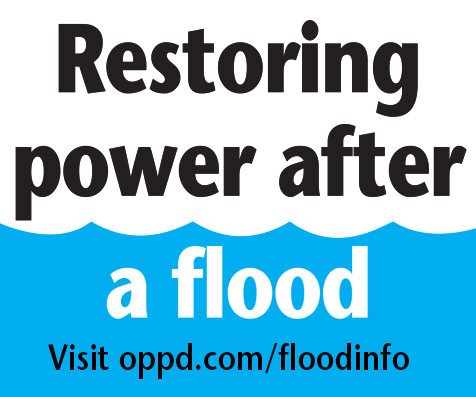 Whatever the cause, OPPD works as quickly and safely as possible to restore power. 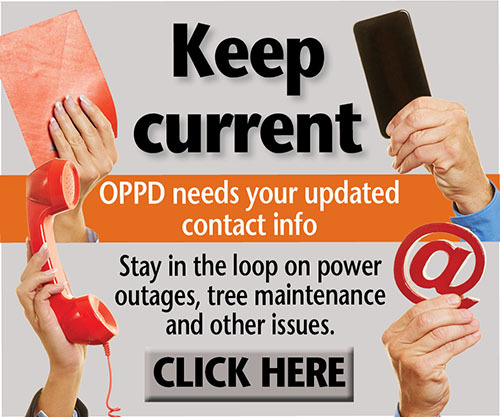 Rest assured that the crews in the field are supported by dozens more back in the office who are taking outage calls, scheduling work, securing supplies and doing other necessary tasks. As your energy partner, we want you to enjoy your life.